No Steroids, No Growth Hormones, No Preservatives or Chemicals, ever! Hill’s Home Market’s food products are carefully chosen to provide your family with the most natural ingredients on the market today! We specialize in All-Natural, healthier food for your family. We use All-Natural, fully-aged, grain-fed, grass finished Black Angus beef, super-select pork, Grade A free range poultry, sashimi grade seafood and Grade A organic gourmet vegetables. Every product goes through an incredible 100 point grading system before it is ever introduced into our product line. Consistent, stringent tests are then conducted monthly to make sure the quality levels are met or exceeded. Our food promotes health and wellness for your entire family. We believe quality and value go hand in hand. We will not sacrifice one for the other, at any time. Hill’s Home Market features a superior food safety process. A prime example of this is our poultry. Typically, chicken is cleaned and frozen in a communal water bath, a process that promotes cross-contamination. 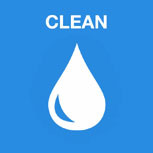 This process allows chlorinated water to be absorbed, altering the taste. Additional water also increases its market weight, so it can be sold at a higher price. Our chicken is humanely processed and cleaned in a USDA inspected facility, where each chicken is individually air chilled. This prevents cross-contamination, making Hill’s Home Market poultry not only safer, but tastier!